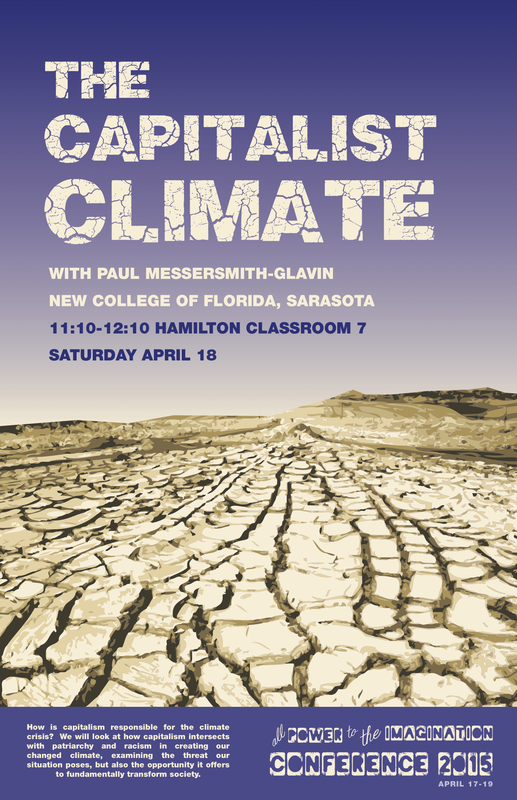 This discussion will address how capitalism is responsible for the climate crisis, looking at how it intersects with patriarchy and racism in creating a changed climate. We will explore to what degree, if any, capitalism is capable of solving the crisis, and the opening this presents to revolutionaries. We will also explore how the climate crisis offers those of us organizing in oppositional movements the ability to link various struggles. We will examine the threat our situation poses, but also the opportunity it offers to fundamentally transform society. Paul is a member of the Institute for Anarchist Studies since its founding in 1996, the editorial collective of Perspectives on Anarchist Theory, and works as an organizer with the Hella 503 Collective in Portland, Oregon. Hella 503 grew out of Occupy, and recently participated in a neighborhood climate canvass over a years time, in coalition with Portland Rising Tide and others. This is a project about which Paul wrote an essay in the current issue of Upping the Anti (No 16). In addition, Paul edited and wrote the forward for Javier Castro’s book, Imperiled Life: Revolution Against Climate Catastrophe (AK Press, 2012) and penned the essay “Between Social Ecology and Deep Ecology: Gary Snyder’s Ecological Philosophy,” published in the book The Philosophy of the Beats on the University Press of Kentucky (2012). He is currently writing a book on the topic of capitalism and climate change, and will be presenting the thoughts he has arrived at both through many years of organizing, and through extensive research on the subject. The talk is part of the All Power to the Imagination conference, April 17th – 19th, and will be held on Saturday, April 18th, from 11:10AM to 12:10PM in Hamilton Classroom 7, New College of Florida, Sarasota, Florida.